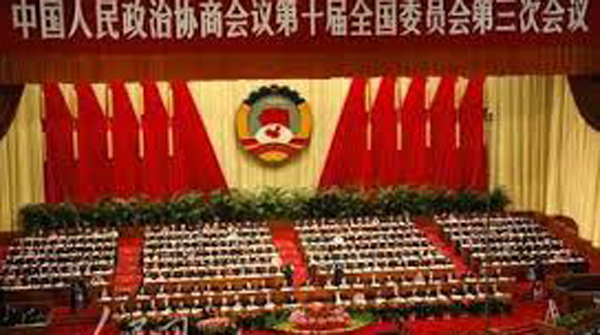 BEIJING, Mar 2 (APP):The 13th National Committee of the Chinese People’s Political Consultative Conference (CPPCC), a top political advisory body, will start its second session at the Great Hall of the People here on Sunday afternoon. This was stated by Guo Weimin, the spokesperson for the second session of the 13th National Committee of the Chinese People’s Political Consultative Conference (CPPCC), during a media briefing here on Saturday.The decision to convene the session was approved by the fifth meeting of the Standing Committee of the 13th CPPCC National Committee. The proposed agenda of the annual session includes hearing and deliberation on a report about the work of the Standing Committee of the CPPCC National Committee and a report on how the proposals by CPPCC National Committee members were handled after the previous session. The session will conclude on the morning of March 13, according to Guo.